It’s taken plenty of time. This month, Facebook has finally given permission for Business Accounts on their Instagram platform. That’s good news for you and me. Good news because, from now on, we won’t face an ethical dilemma. For too long, marketers have skirted the rules to promote business on personal Instagram accounts. The rapidly growing social media platform is showing an increasing interest by marketers. 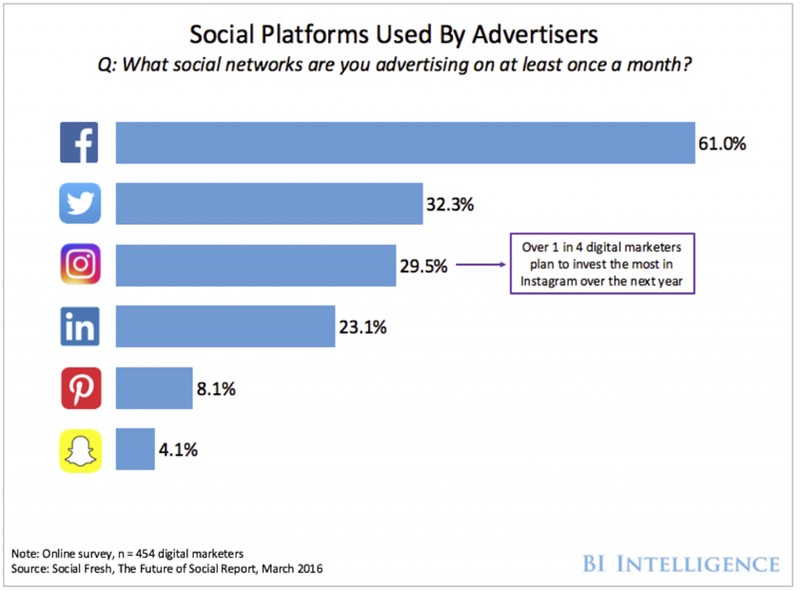 Business Insider reports more than 1 out of 4 digital advertisers plan to increase their ad spend inside Instagram. Those marketers expect to spend more on Instagram than other platforms this year. Earlier this year, Facebook announced a significant change to Instagram’s timeline feed. User’s timelines shifted from a natural one to one controlled by an algorithm. This was the first move made on Facebook to increase profitability for marketers. Now, Instagram is following the steps of its mothership. Yet, the social media platform is not just switching to an algorithm-controlled timeline. The company has recently announced the development of analytical data for marketers. On the first of June, 2015, Instagram opened up analytics to businesses in the US. They also promise the same in New Zealand and Australia soon. If you haven’t gotten access to the analytics, just wait. The service is rolling out in those three countries first. The first change Instagram users will see will be the Contact Button. This button will make it easier for users to communicate with your business outside of the app. This is the tool marketers have needed to get users off of Instagram and into your online presence. Companies can now add an email address, phone number, or even text message option to your profile. If you’re a brick and mortar business, you can add your physical address. That addition will then provide directions to your front door. This tool will help your fans and followers to reach out to you the moment they see your post. Of course, they’ll still have to view your profile’s Bio to get to the links. But, this Contact Button will be a huge advantage for you and your business on Instagram. 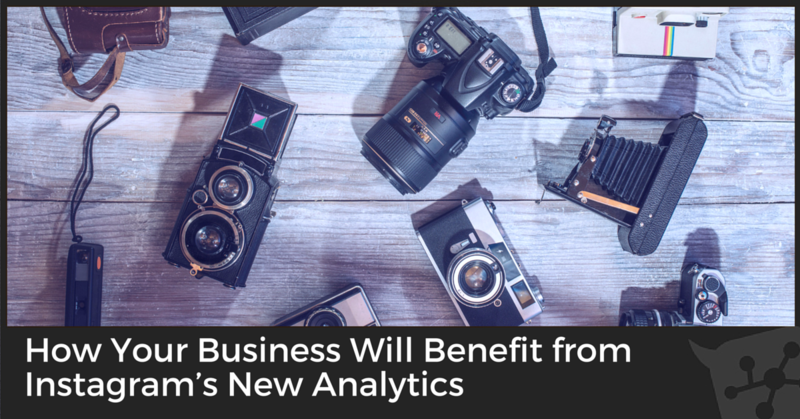 For the first time with Instagram, business users will have access to analytics. These stats are quite like those in Facebook pages. You’ll get a detailed look at post engagement and follower demographics. Now your business, big or small, can track your posts’ impressions and engagement. Tracking of the reach of each post is provided as well. The stats are part of a plan to help Instagram boost the use of the social media’s new promotion tools. The tools will help businesses maximize efforts to reach new followers with sponsored posts. Instagram’s leadership understands that many who will use these tools are not sophisticated marketers. Jim Squires, DMO for Instagram, admitted that fact in an interview with Mashable. Analytic tools will help your business better understand how your posts attract new followers. They also help you see how your post gets new interactions. Additionally, Instagram’s analytics provide insight into reaching your audience. With the new algorithm’s restrictions of posts on your followers’ smartphones, you’ll need the help. The analytics tools are currently rolling out in three nations. Those countries are the United States, Australia, and New Zealand. Two things will change in your Instagram account when it finally rolls out to you. You’ll see a “Contact” button in your bio profile. And, you’ll notice a bar graph icon in the top of your account information screen. 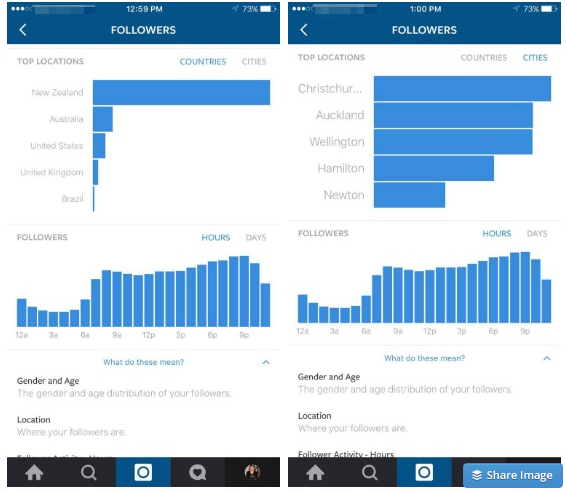 Thanks to Instagram and a blog from New Zealand, we have some useful images to help us understand the stats. In this post, I’ll provide just a glimpse into the analytics to help you whet your appetite. Here are two screenshots provided to show some of the stats provided by Instagram. The two screenshots above come from the “Followers” stats report. You’ll notice that there is a “countries” and “cities” report. These reports can be accessed by clicking on those tabs in the top right corner. Near the middle of the screens above, you’ll see a timeline graph. This graph depicts engagement with your content by those who follow your account. This chart helps you better understand the best times to schedule ad content and posts. There are some other analytic options including gender, age, location and more. Those analytics can be assessed beneath the timeline graph. For AdLab members, I’ll provide more in-depth coverage. There will be a video introducing Instagram’s analytics in the Facebook group this week. It’s part of the weekly #adlabtip bonus for AdLabbers. AdLab is a four-week long immersive course. 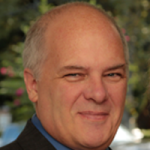 In the course, Ben Adkins teaches how to use Facebook’s ad solutions to grow your business. Video reviews (by Ben) of Adlabber-submitted funnels. This helps you learn how to advertise better on Facebook. Video interviews by other Facebook advertising experts. This helps you learn new tricks of the trade to improve your Facebook ads. AdLab Guides to help you stay up to date on new tools inside Facebook. This helps you learn about all the tools provided by Facebook so you can use everything you can in your ads. Weekly #adlabtips in the Private Facebook Member’s group AdLabLive. These tips provide 10 to 15 minute videos that get you up to date on both Facebook and Instagram advertising. If you’d like to stay up to date on all things Facebook and Instagram advertising, join today. 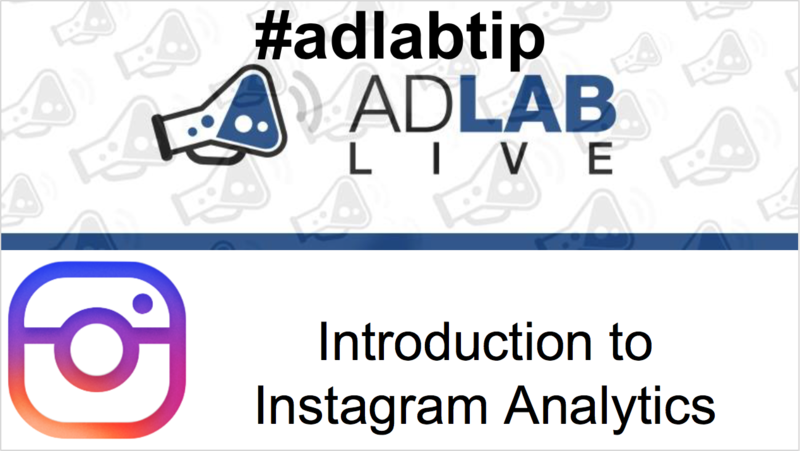 Join AdLab today to see the in-depth video introduction of Instagram’s analytics. The video post is Wednesday June 15th’s #adlabtip.